When the Animaniacs crew gets together to read the script for a Harry Potter movie, the main thing to expect is the utter corruption of all characters from the world of JK Rowling. 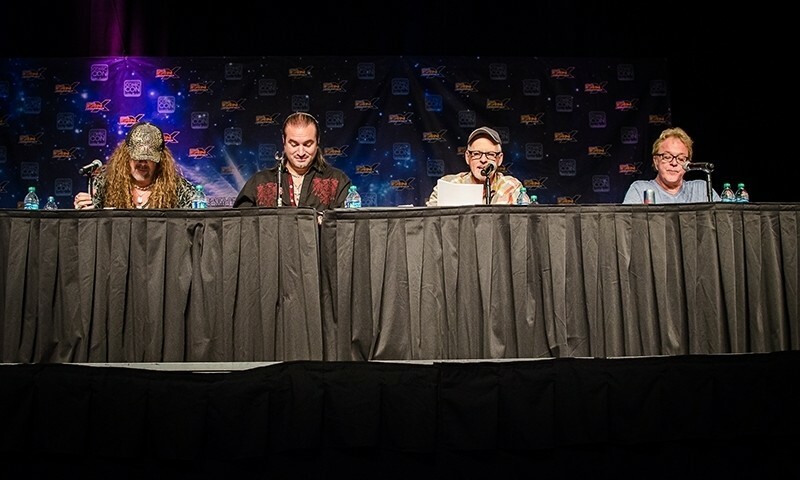 With the MPAA film rating jumping from “parental guidance SUGGESTED” to “NC-17,” Rob Paulsen, Jess Harnell and Jim Cummings recreated a world where “Bill Cosby” voiced the role of Hagrid and Roger Rabbit did the same for the Sorting Hat. Even if the voice actors had simply read the script in various, assigned voices, it would have been delightful, but each actor fully committed to the character whose voice they were emulating, mannerisms and all. One of my favorites from the evening was Cummings reading the role of Hermione Granger as Darkwing Duck, and Harnell voicing Harry Potter as Christopher Walken. It was hard to believe such a vast array of characters and impersonations were coming from the mouths of these actors. Many times I would just stare at Paulsen’s mouth, expecting a collection of cartoons to come pouring out. Not only had the adulterated versions of my childhood entertainment spent the last hour making sexual innuendos and cursing, but also I was inspired to finally pursue my long held dream of becoming a voice actor! Well, maybe not. it’s hard not to want to after performances such as those put on by Paulsen, Harnell and Cummings, but I do think it’s best left to the professionals.